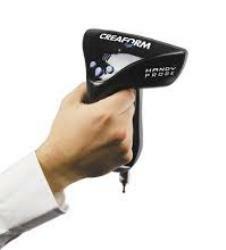 Creaform’s HandyPROBE arm-free probing system is designed to provide highly accurate measurements of up to 22µm. The system provides the user with complete freedom of movement, thereby ensuring better productivity and quality control. 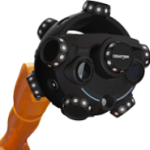 The HandyPROBE CMM system is not only portable but also wireless with a measurement range extending up to 10m. 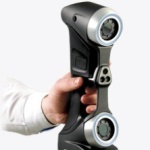 When coupled with a MetraSCAN 3D scanner, it can also offer scanning functions. 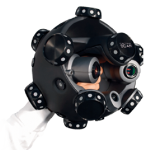 This system is perfect for geometric and surface quality control as it is insensitive to the working environment factors such as vibrations, CMM instability, and part displacement. 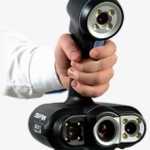 The HandyPROBE is useful on the production lines of aerospace, automotive, and manufacturing companies. 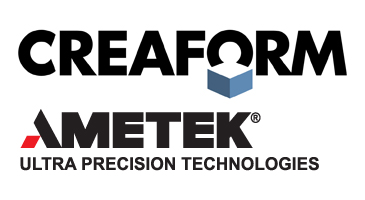 With the MetraSCAN 3D optical CMM scanner, it can provide faster and more precise reverse engineering of mixed parts such as geometrical and free-form.